Robert Arneson, Enrique Chagoya, and Robert Hudson will be included in a 40th anniversary exhibition at Sonoma State University Art Gallery. 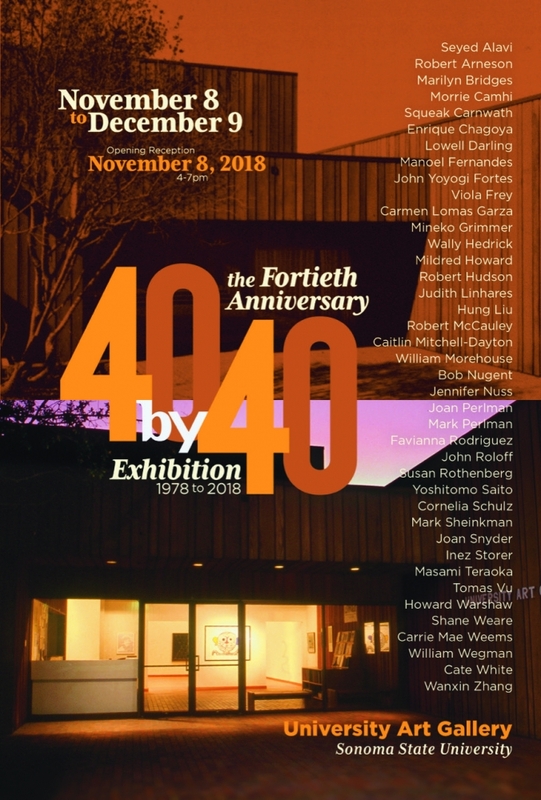 40 by 40 celebrates the University Art Gallery's anniversary with an exhibition presenting one work each by 40 artists who have been featured in either solo or group shows since the Gallery first opened in 1978. The exhibition is on view through December 8, 2018.